A new website to showcase our Outdoor Living Pods. The outdoor living lifestyle continues to grow in trend as we see Britons across the country investing in their external retreats to enjoy the delightful warmer seasons. Enhancing your outdoor space can increase the value of your property by as much as 20%, which is why the exterior should not be disregarded when it comes to making home improvements. Over the past few years we have witnessed the Outdoor Living market rapidly grow. Our external shading solutions are the finest of their kind in the country; we design and manufacture all our products, allowing us to be flexible and consistent in our approach. This is a few of many reasons why we are the number one shading specialist in the country producing recognised, Award Winning products that leave a lasting impression. Since the launch of our Outdoor Living Pods 6 years ago, demand has consistently increased year on year, especially with such a strong outdoor living trend. 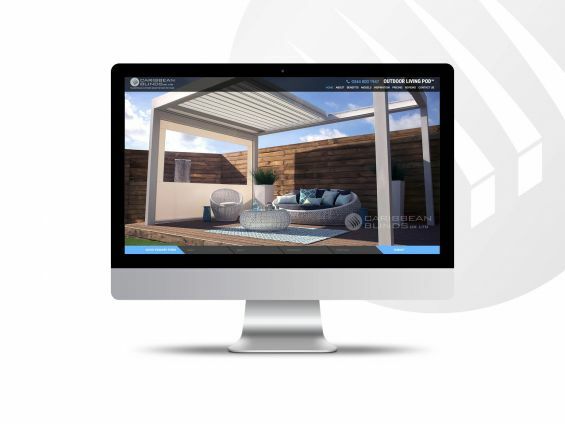 The unique opening and closing aluminium louvered roof system has become a contemporary design element that has enhanced the aesthetics of outdoor spaces and the lifestyles of our clients, so much so that we have decided to dedicate a website entirely to our Outdoor Living Pod range. Love Life Outdoors and create your dream alfresco living space.